Micronesian Culture and Traditions Day is annually observed in Micronesia on March 31. This special holiday was established to honor cultural and traditional heritage of the islands. Micronesian Culture and Traditions Day was established under the initiative of Congress and President Emanuel “Manny” Mori. According to him, every nation needs a national holiday, devoted to its cultural and traditional heritage. 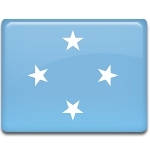 The Federate States of Micronesia is no exception. This day received the status of a national and public holiday. The government sponsors various annual celebrations, aimed to remind people of the fact that cultural values and identity plays an important role in ensuring national unity and security in the era of unstable economy. Micronesian culture and traditions are special, due to the population of the islands consists of Carolinian, Chamorro, Chuukese, Kaping and Nauruan peoples. The peoples have their own language, history, traditions and beliefs. The preservation of cultural diversity of Micronesia is a task of great importance.